Ahh, I love the smell of an information revolution in the morning! Honestly, I don’t care what is on your TV, this is better. This is the moment we have been waiting for, for five or six decades, maybe since the beginning of time. This is us against the military mafia, our first, best and perhaps only chance for a worldwide democracy. I know, that’s a lot of hyperbole, even for me. But it is true, this is the moment I’ve been waiting for all of my life. As a child, I used to lie awake and think about bad guys and study those that resisted them, and imagine what I would do in those situations. Yes, a very strange child. But injustice has always driven me crazy, and I’ve always been in love with the concept of democracy. I have never been able to passively accept what I see as stupid rules, no matter how much everyone around me wishes I would. And I have always been passionately interested in the ideas of everyone else, and wanted to understand them and use their knowledge. Watching our world come under the grip of a worldwide organized crime syndicate, where everyone is denying anything is happening or denying that anything can be done, has been like a giant weight, crushing us all. But the Wikileaks releases of this year have been our training period, a progressive course in getting the truth out and acting on it. We are now the strongest force the world has ever seen, a truly informed worldwide populace, the worst nightmare of a fascist world government. 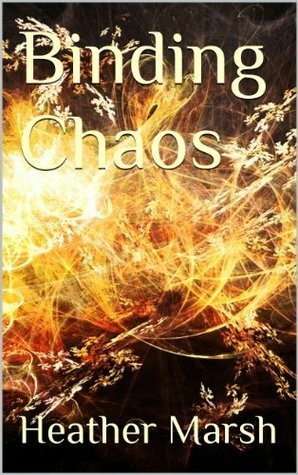 This week, the weight is lifted, and chaos is king. Out of chaos can come a new order. Don’t be asleep. This entry was posted in A Stateless War and tagged democracy, freedom, Government, internet, politics, war, Wikileaks, world. Bookmark the permalink. Great article, highly identifiable (for me anyway). Another writing hero of our times. Thanks for your support, guys 🙂 It’s appreciated. Thank you. After thirty years of having seen disappear everything and more that humans as individuals had gained in the early to mid Twentieth Century, I too see a glimmer of hope. halt the slaughter in Vietnam, thank God I am still around, mobile enough to take a beating or a bullet, both for what is right, and so another with perhaps more of life left to live, will not have to. The Vietnam war, like the two world wars (every war? ), left populations so exhausted they just wanted to put a shiny veneer on everything and get back to their lives. This time we have to get it right … not just the taking apart but also the putting something else together. Thank you for being part of the fight against the war in Vietnam … it’s funny, the MIC has so much stronger chokehold on everything now, but I really think it is going to go down so much faster and more completely. We can certainly try, anyway.